What do we do when confronted with Janus-like, faces of an impending future: one promising cornucopian wealth, wellbeing, extended lives....a virtual Utopia; the second offering the cataclysmic threat of unimaginable weapon systems, runaway monstrosities and the plague of social upheavals that would make those of our first two Industrial Revolutions look like a romp through one of Mozart's light operas? Apparently, not much more than a shrug of the collective shoulder, judging by the response we've gotten in casual conversation since attending the Foresight Institute's, eye-opening (at least, for us) "1st Conference on Advanced Nanotechnology: Research, Applications and Policy" held in Washington, DC over a 3-day weekend in late October. Bummed out by terrorists, Bush's reelection, global warming, drilling in the Artic, a broken political system, dirty drinking water, the massacres in Darfur, the sinking dollar, bulging waistlines, outsourcing, etc?, why worry about what could be little more than an episode on the Holodeck? Why?, of course, because like some objects in your windshield, the advent of advanced nanotechnology or molecule assembler machine systems may not be as distant as it first appears. According to many of the visionaries gathered in Washington by the Foresight Institute for the Conference, we are, today, on the very cusp of the Third (First, steam power, Second, electricity) Industrial Revolution. What they mean by that is a world in which the manufacturing process much more closely resembles organic growth, molecule by molecule in programmatic steps (like the DNA blueprint) than the traditional top down approach on which we've built our civilization since one of our ancestors first altered a stick or stone and hurled it at a passing target. But let's look at one face, the Promethean cornucopia vision: Nanotechnology, (defined by the scientists that have gathered around nano-sage Eric Drexler, the former MIT professor and author of the seminal books Engines of Creation and Nanosystems: Molecular Machinery, Manufacturing, and Computation. as the creation of molecular assembly systems) offers the possibility of separating common atoms of, say, carbon, hydrogen or silicon from plentiful and manageable base substances and reassembling them into molecules that, in the case of carbon, for example, would closely resemble the structure of diamonds, or in their vernacular, diamonoids. Why diamonoids? well first, because they are assembled purely of tightly arranged carbon atoms and second because they have the potential of becoming a near-magic material that is extremely strong and hard and stable yet highly flexible, feather-weight, highly heat and light conducting that can be as near-magical raw material for manufacturing, molecule by molecule at the precise nano-girth, whatever might be dreamed up, including, of course, an ever improving generation of more sophisticated molecular assembly systems. "The film depicts an animated view of a nanofactory and demonstrates key steps in a process that converts simple molecules into a billion-CPU laptop computer. These steps include the sorting of molecules, precise atomic construction through the use of placement tools, and the assembly of smaller parts into larger parts. Scenes depicting initial tool preparation show molecular reactions based on computational quantum chemistry, and later stage manufacturing processes are based on industrial processes found in large-scale factories." Although the creators of this film (donations, BTW, are presently being sought by Foresight for its completion) have chosen a curious Lego-like look for the atoms and molecules; the viewer is to imagine a complex vision of molecules separating atoms and joining them layer by layer to the pieces under construction. 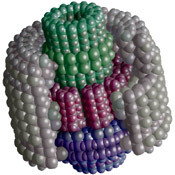 The model, of course, for molecular assembly is all around (and in, for that matter,) us in nature's methodology. Take a seed, that has all the instructions built into it, to lead to the molecular assembly of a great oak tree. Once the tiny shoot has developed leaves and roots, it becomes an ever more complex machine that can efficiently extract power from sunlight, and building materials from the atmosphere and the soil as it takes mature form. Further to the process, the tree, has programmed into it, the ability to create the seeds for its own reproduction. Tangential to Drexler's vision in some cases, there are scientists also working in the lab pursuing the path of synthesizing DNA for manufacturing purposes. Nadrian Seeman at NYU is one of these researchers who presented the progress of his work at the Conference. If you are far enough along the scale of techno-optimist, you might even be tempted to ask: So wherein lies the rub? The answer perhaps rests symbolically in the 1902 short story by W.W. Jacobs, "The Monkey's Paw". If you are familiar with this modernist, morality-tale take off of the Arabian Nights 3-wish short story, you'll recall that the rewards of each granted wish turns out to be the consequence of a ghastly irreversible event (wished money, for instance, arrives in the form of death benefits for a son killed in a mine accident). Just as molecular nanotechnology promises untold benefits it equally promises dire consequences. First, there is the possibility that long before molecular assemblers get used to provide their bounty, countries or even organized groups will have built diabolical weapons of universal subjugation and destruction. But even putting aside the weapons scenario, can we face up to the "positive" disruptions of a world of infinite bounty where work may quite suddenly become unnecessary for most, where people might be in a position to choose to live for as long as they want or are allowed, where nearly anybody might make anything they can dream of with the frictionless ease in which we can today publish worldwide to audiences of even millions on a website like this one. Quite clearly, if, as some predict, molecular manufacturing may become a reality within a score of years, even the most optimistic and benign scenarios promise earth-shattering dislocations that would require unprecedented levels of planning and cooperation. And so, against a reality-check present backdrop of go-it-alone wars, terrorism brought to a fine art, global collaborative treaties on such generally accepted threats as global warming tossed into the waste basket, ongoing genocides, poverty and lack of potable water for more than half the world's population, it's not hard to understand why nearly everybody's first reaction to nanotechnology is to shrug their shoulders and hope it's all a bunch of gobbledy-gook. And so the plot thickens in what has been a particularly bad year for the ex-MIT professor: it has not been enough for pioneer Drexler to point back to the physicist widely regarded as one of the greatest scientific minds since Albert Einstein, Richard Feynman's 1959 lecture, "There's Plenty of Room at the Bottom," in which Feynman asserted that "we can arrange atoms the way we want: the very atoms, all the way down!" "Six months before the NanoSummit, his critics landed what may be a decisive one-two punch. On December 1, the technical journal Chemical and Engineering News published a series of letters between Drexler and Smalley in which the Nobelist made his position clear: Molecular assembly is impossible. "Chemistry of the complexity, richness, and precision needed to come anywhere close to making a molecular assembler - let alone a self-replicating assembler - cannot be done simply by mushing two molecular objects together," Smalley wrote. It was a public takedown from the man fast replacing Drexler as nano's leading light. But Smalley wasn't done. In remarks so overheated that they bordered on bizarre, he accused Drexler of terrorizing the world with the prospect that self-reproducing assemblers might escape the lab and devour everything in their path, turning the Earth into an inert, undifferentiated blob of gray goo. 'You and people around you have scared our children," Smalley fairly shouted in print. "I don't expect you to stop, but I hope others in the chemical community will join with me in turning on the light and showing our children that, while our future in the real world will be challenging and there are real risks, there will be no such monster as the self-replicating mechanical nanobot of your dreams.' The second blow to Drexler came only two days later, when President Bush signed the 21st Century Nanotechnology Research and Development Act, allocating $3.7 billion for molecular-scale R&D. In the months leading up to the signing, the bill had promised to catapult Drexler's agenda to the forefront of the nation's scientific priorities. But in the end, no money was earmarked for molecular manufacturing. Instead, the funds were largely allocated to projects using variations on conventional chemistry to develop novel materials "with new combinations of characteristics, such as, but not limited to, strength, toughness, density, conductivity, flame resistance, and membrane separation characteristics." Real money was now on the table and the definition of nanotechnology was being stretched to include anything really small. Instead of engines of creation the government was funding chemical processes designed to make stain-proof clothing a reality. 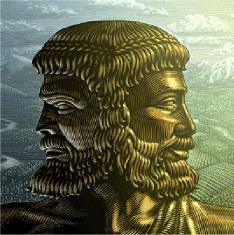 The Drexlerians have always accepted the Janus-like significance of their vision. They have positioned themselves as a kind of prophylactic designed to encourage the pursuit of the technology while building structures to anticipate and ward off the dark side. Scheduling the 1st Conference on Advanced Nanotechnology to take place in Washington, DC and guided by their new President, Scott Mize, the Foresight Institute was signaling its understanding that the future of nanotechnology would ultimately be played out not in the laboratories or even the boardrooms of private enterprise but in the bowels of government and mainstream public consciousness. Unfortunately, for the Institute, which put together an excellent roster of speakers, the event was held in the days leading up to the election and many of its targeted audience in government and the media were out of town and had their attention turned elsewhere. Gray goo aside (see Michael Crichton's best-selling nano-thriller Prey in which auto-assembly runs amok), advances in molecular assembler systems will move forward, perhaps in places like Tokyo, Taiwan, Bangalore or China. For the moment, the best we, whose attention, quite frankly, has been drawn like moths to a light can do -other than supporting the work of those interested in the responsible development and use of nanotechnology-- perhaps is to hope that people like Chris Phoenix, who predicts the onset of molecular assemblers in 10 to 15 years, are wrong and to a degree the critics like Smalley are right and that this thing is either impossible for present technology or far enough out in the future that we may, as a society, in a century that has gotten off to such a limping start, have developed the wisdom and tools to secure and manage its promise. * Imagine, for one of a million various scenarios, the ultimate sleeper (sub)-cell, a genetically engineered, virus-like assembled object that can be broadcast piggy-back with, say, a world sweeping virus like the flu or a common cold. The virus is programmed to seek out an undetectable resting place and wait, dormant, to be signaled into activity only by its creators.